The Stanislaus County Office of Education (SCOE), along with 35 Head Start children heading off to kindergarten, will visit Walmart (3848 McHenry Ave, Modesto, CA) on August 6, 2018 at 9:00 AM. 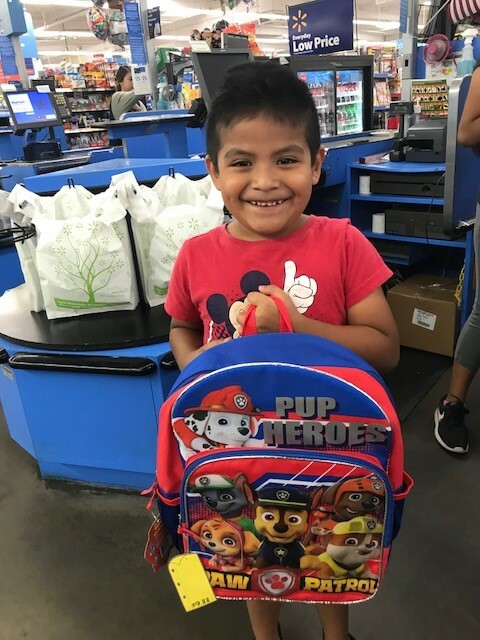 Children will have the opportunity to shop for back packs and school supplies thanks to a grant from the Walmart Foundation. SCOE held its second annual “Head Start Attendance Awards” on May 22, 2018 at The Century in Modesto. SCOE, along with eight partnering school districts and one non-profit organization, served 1,470 children and their families countywide in the Head Start program during the 2017-18 school year. The children participating in the back to school shopping trip were selected for achieving the most improved and highest attendance while attending Head Start last year. All 35 children will enter kindergarten at elementary schools throughout Stanislaus County this fall. For more information, call or email Leilani Garcia at (209) 238-1800 or lgarcia [ahtsym] stancoe [dhotsym] org.